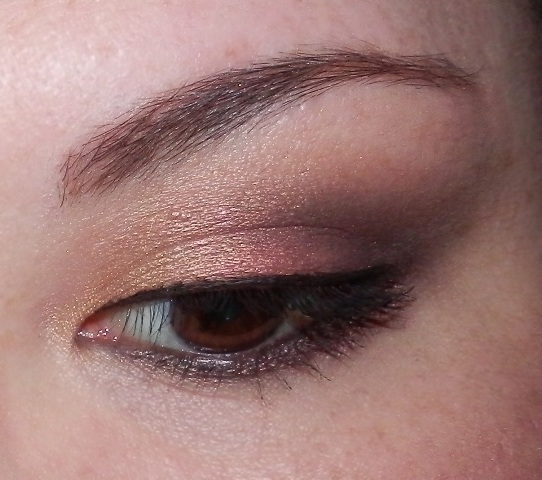 I had to recreate this EOTD. I recently saw Mandy at Prettymaking create an EOTD using some Fyrinnae shadows and I had to give it a try. Her original look/post here. It is not exactly the same as I am no MUA LOL but I tried. Okay maybe I should say it inspired me and save myself some embarrassment HAHA. I used Rapunzel had Extension in the inner third of the eye and used it to very lightly blend out the top crease (inner half only). Then Housework Pearls in the middle of the eye. Since I didn’t have Bonfire Spirits, I used Te Amo (now known as Serendipity) for the outer third of lid and crease to create the depth. 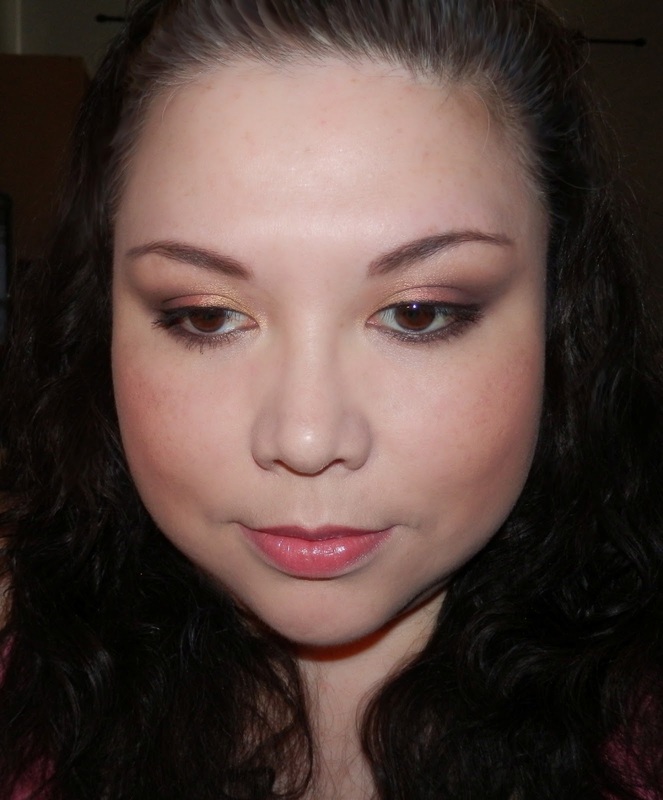 I also layered a little matte black in the outer V to darken Te Amo up a bit. Eye base: UDPP over the entire lid and Fyrinnae Pixie Epoxy on the lid. Lips: L’Oreal Colour Caresse Lip Shine Stain in Rose on Rose. What do think? Likey? No likey? Oh thank you Mandy. I love your creations!